At Southern Green, giving back has always been a priority. In over 18 years of business, they have donated thousands of dollars to local and national charities. Along with many other charities, there is one they support year after year. Started by Mark Kaye, a Jacksonville radio show host, Kaye’s Kids gifts iPads to children in the Jacksonville area suffering from life-threatening illnesses. 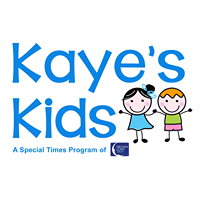 In December of 2014, Mark and his wife, Pam, partnered with Dreams Come True to start the initiative Kaye’s Kids. Southern Green owners, Eric Drake and Brad Stowell, took immediate notice of the good that Mark was doing and wanted to know how to help. So, they jumped right in. Over the last 2 years, Southern Green has purchased over 20 iPads for children. These iPads help to brighten the day for children whose days can be very dreary. Recently, Southern Green supported Mark and Kaye’s Kids once again by purchasing a table at Mark’s charity poker tournament. The tournament alone raised over $15,000 for Kaye’s Kids and Southern Green was a huge part of that success. “Being able to help Kaye’s Kids and these children is very important to us. To see them smile and know we are helping them in any way means everything,” says owner Eric Drake. Often, there is more to a business than just day to day operations. And with Southern Green, there is so much more than meets the eye. At Southern Green, giving back to those in need is at the core of their belief system. Eric and Brad instilled this in the heart of the company since day one, and by giving back, continue to make the world a better place. This entry was posted in Uncategorized and tagged lawn care Jacksonville fl, lawn pest control jacksonville fl, lawn pest control orlando fl, lawn pest control tampa fl, pest control jacksonville fl on December 11, 2017 by Al Helquist.